For over 20 years, CEIS has helped support university collaboration with dozens of companies in the Finger Lakes region and across New York State. We are fortunate to be located in a region that has a concentration of high technology manufacturing and strong synergies between university research and company focus. Over the past 10 years, CEIS has invested $9 million to support $13.5 million in collaborative research. This research has been leveraged to help our partner companies achieve $523 million in increased revenue and $64 million in cost reductions, and has resulted in 240 new and retained jobs. We currently support a variety of projects with small, medium, and mid-size companies in the region. Advanced Acoustic Imaging Technologies, LLC, (AAIT) is a private company located in Rochester, NY. AAIT has developed a revolutionary low-cost imaging technology that can be used for screening and diagnostics of soft tissue cancers. This new imaging methodology takes C-scan images in the coronal plane of the prostate gland in real time based on the photoacoustic phenomenon. It can give doctors a more accurate way to distinguish tumors than current ultrasound imaging methods. ADVIS is a fabless semiconductor of electronic image sensors and camera modules for applications that span the nearly $6 billion image sensor market. ADVIS applies its innovation technologies to the security and surveillance camera markets, and is expected to expand its technologies for additional products such as single-use digital cameras, camera phones, and automotive applications. Alchlight, based in Rochester, New York, is the leading developer and distributor of advanced and proprietary laser-fabricated material. Acclaimed by the New York Times as "optical alchemy," they use femtosecond laser processing to etch proprietary nanostructures on materials. Their procedure doesn't coat the materials; instead it changes the intrinsic properties of th materials. Their topographies can change the color of titanium to blue, make silicon attract water, or even make water bounce off of brass. Arcum is developing an antibiotic platform for the prevention and elimination of resistant bacterial infections. Their mission is to save lives and prevent a return to the days when simple infections were a common cause of death. We create combination drugs that target the Arcum proprietary resistance pathway, utilizing the FDA 505b2 accelerated approach to bring products to market faster with less risk for our investors. Bausch+Lomb offers one of the world’s most comprehensive portfolios of eye health products. B+L markets five broad categories of products: contact lenses, lens care, pharmaceuticals, cataract and vitreoretinal surgery, and refractive surgery. Because of mutual strengths in imaging sciences, the partnerships between B+L, various University of Rochester departments, and CEIS have helped to move research from the earliest stages to commercial development and clinical applications on a global scale. New York State-based Caliber Imaging & Diagnostics (formerly Lucid, Inc.) is a medical technologies company that designs, develops, and markets innovative imaging solutions that shows tissue at the cellular level. Caliber Imaging & Diagnostics, Inc. is currently the only company in the world to offer in vivo confocal microscopes designed specifically for imaging skin and other tissue. Caliber I.D.’s Rapid Cell ID technology enables scientists and physicians to characterize intact normal and abnormal cellular architecture that is otherwise invisible to the naked eye. Carestream is a dynamic, global company with more than 100 years of leadership. In today’s rapidly changing global healthcare environment, where the mandate to provide better outcomes has never been greater, we add value by delivering personalized, affordable and practical options to help our customers advance. Medical providers large and small, from clinics and single hospitals to large networks and even entire countries, are upgrading their radiology and IT systems using our latest solutions. Clerio Vision is developing a revolutionary product for the global refractive surgery market, based on technology licensed from the University of Rochester. 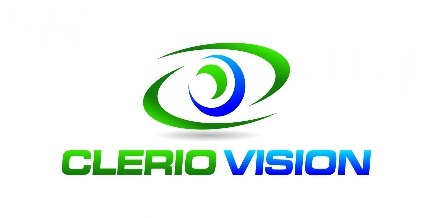 Clerio Vision is developing a novel vision correction procedure. Instead of changing the shape of the cornea, as current LASIK-based approaches do, its approach is to use a femtosecond laser to change the refractive index of the cornea with small pulses to “write” a corrective prescription onto the cornea non-invasively. Because this approach doesn’t thin the cornea, it can be repeated as needed to correct vision changes over a person’s lifetime. The approach, called LIRIC, is being commercialized by some of the original architects of the world’s first LASIK systems. Clerio’s core technology has been in development for over a decade and is based on over 40 issued and pending patents. Currently over 150 million individuals in the U.S. alone require some form of vision correction. Corning, Inc. is a diversified technology company that develops breakthrough technologies that significantly improve people’s lives. Corning pursues innovation and focuses on high impact growth opportunities in the telecommunications, flat panel display, environmental, life sciences, and semiconductor industries. Efferent Labs is a preclinical stage medical technology company focused on implantable biosensors. The CytoComm™ Biosensor Platform is designed to serve as a real-time monitoring system, using living cells to assess cellular function in vivo. The system is built to transmit live data through the cloud to our data acquisition and analysis software, providing real-time information to researchers and clinicians. Envision Solutions, LLC is company that has been working to build efficacy of visual training for recovering sight in stroke patients. Flint Creek Resources is a unique company that offers services to make your used rare earth and zirconia glass polishing compounds better than new. Spent polishing compounds are processed through a proprietary system that removes glass, polishing pad fragments,and contamination from the slurry. The resulting clean polishing particles are then custom formulated to produce excellent stock removal, surface finish, suspension and clean-ability. Flux Data develops and manufactures multispectral and polarimetric imaging systems for aerospace, defense, industrial, medical and scientific markets. FluxData is a privately held, women owned company located in Rochester, NY. FluxData’s imaging and system integration expertise helps guide customers from camera specification to delivery of the final system. Our staff of imaging experts work with customers to frame problems, and deliver optimized systems based on a broad suite of options. Every product comes with FluxData’s commitment to first-rate customer support. 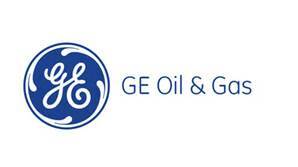 GE Global Research is headquartered in Niskayuna, New York and is one of the world’s most diversified industrial research labs, providing innovative technology for all of GE’s businesses. Global Research has been the cornerstone of GE technology for more than 100 years, developing breakthrough innovations in areas such as medical imaging, energy generation technology, jet engines and lighting. GE Global Energy’s diverse set of technology expertise ranges from electronics to chemistry, biosciences to computing, metallurgy to fluid mechanics, materials to imaging– and everything in between. Brighter futures are fueled by ambition. And that’s one resource we’ll never run out of. It will take more energy, ingenuity and trust to fulfill our aspirations for the future. And GE Oil & Gas is ready to do its part. We’ve been an industry leader through constantly evolving energy sector dynamics and increasingly complex infrastructure challenges across the globe for more than 120 years. HARBEC’s mission is to provide tightly toleranced prototypes, tooling, machined components and quality injection molded parts in a sustainable manner with a social conscience. We provide superior customer service, satisfaction and timely delivery of custom engineered solutions. We proudly foster an atmosphere of encouragement and respect for the health and prosperity of our customers, employees, and the global community. Harris is an international communications and information technology company serving government and commercial markets in more than 125 countries. The company has more than 14,000 employees— including 6,000 engineers and scientists— dedicated to the development of best-in-class assured communications® products, systems, and services. The company's operation divisions serve markets for government communications, RF communications, broadcast communications, and microwave communications. Since 1983, HYPRES has been engaged in the development and commercialization of superconducting microelectronics. iCardiac Technologies, Inc., provides drug development companies worldwide with thecomplete range of core lab services. Its team of cardiac safety experts collective bringsmore than 100 years of cardiology, electrophysiology, drug development, regulatory, andacademic experience. iCardiac team members are active contributors on several FDA working groups that are advancing the field of cardiac safety. iCardiac's core laboratoryservices include scientific and regulatory consultation, protocol development, and end-to-end project and data management. Imaginant is a manufacturer of high-resolution digital cameras, ultrasonic NDT instruments, and handheld and robotic coating thickness measurement systems. Integrated Nano-Technologies, LLC was founded on the idea that the fusion of molecular biology, chemistry, and microelectronics holds the potential for revolutionary technical advances. Through the confluence of these disciplines, INT is able to create self-assembled nanoscaled circuits. A simple on/off circuit forms the basis for the first product, a novel biosensor capable of detecting single molecules of a target substance. This sensor can be deployed in a variety of devices for use in biosecurity, clinical diagnostics, food safety, and tracking systems. IBM is an information technology company that also provides business, technology, and consulting services. The company’s major operations comprise of a Global Services segment, a Systems and Technology group, a Software segment, a Global Financing segment, and an Enterprise Investments segment. IBM’s current research portfolio includes the integration of nanotechnology into various systems and devices, and VLSI design studies. Intrinsiq Materials manufactures highly functional electronics inks for use at room temperature, in air, enabling printed electronics today and into the future. Intrinsiq Materials, the nanotechnology leader in printable electronic inks, offers a variety of electronic ink, including screen-printable and inkjetable copper ink, a silicon ink jet, and a nickel ink jet. Intrinsiq utilizes a unique process in making nanomaterial-based ink that allows the ink to be used in a room-temperature environment on paper, plastics, metals, and more. Kitware, Inc. is a leader in the creation and support of open-source software and state of the art technology. Kodak Alaris is a new company born from one of the world's most iconic brands. A company that is passionate about using technology to transform organizations and improve people's lives across the planet. From our digital scanners and intelligent state of the art software services that power some of the world's largest companies to our photographic paper production, printing kiosks and suite of consumer apps that help people capture and connect with the emotional moments that define all our lives. We're on a mission to unlock the power of images and information for the world. We work behind the scenes, making the connections, pushing the boundaries of technology and helping you to make sense of and exploit the ever-expanding volume of data that is the hallmark of the 21st century. LighTopTech Corp. is a women-owned business based in Rochester, NY. LighTopTech, an optical technology company, was founded in 2013. Our goal is to build innovative optical instruments to improve noninvasive imaging in medical and manufacturing fields. MicroPen Technologies is a design, development and manufacturing resource and partnerto electronics companies and medical device companies in the specialized technology ofapplying functional materials to surfaces. Oculushttps:// Rift and the Oculus-powered Samsung Gear VR provide the most immersive VR experiences and environments available, from games and movie scenes to exotic destinations and beyond. Founded in July 2012 by Palmer Luckey, Brendan Iribe, Nate Mitchell, and Michael Antonov, Oculus began as a Kickstarter campaign that raised $2.4 million in the 1st month, and was acquired by Facebook in 2014. Omni-ID is the leading supplier of passive low-profile UHF RFID tags. The company is focused on delivering affordable high-performance tags that work reliably in harsh environments, including on, off, and near metals and liquids. Omni-ID technology enables near-perfect accuracy in RFID asset tracking. OptiPro was founded on one revolutionary, yet simple, concept: optical fabricators deserve more. In the past 30 years, since we introduced the first affordable CNC machine designed specifically for the optics industry, we have consistently built a culture that cares— a culture of employees who live and breathe by our strong OptiPro values and a culture of best-in-breed customers who are collectively on a relentless pursuit of process efficiencies, design improvements, capability enhancements, and marketplace superiority. Ovitz is an exciting medical device company specializing in developing, manufacturing and marketing novel and portable ophthalmic equipment and accessories that facilitate the delivery of ophthalmic care in eye doctors' and primary care physicians' offices, and in schools, rural areas and developing nations. Founded in 1999 and headquartered in Rochester New York, P & L E-Communications LLC is a privately held, woman owned small business (WOSB) that focuses on surveillanceproducts powered by their proprietary AVT234© video motion detection (VMD) softwareengine that are integrated into military and energy sector security systems. PLE has formedstrategic partnerships with high end camera manufacturers and security systemsintegrators in addition to typical sales channels to multiply their market reach with theirrack appliance, mobile security trailer, and deployable perimeter security kit. Positive Science is a research and development company specializing in the design and construction of lightweight eye-tracking systems for mobile and wearable applications. Since 2002, PSLLC has developed lightweight eye tracking headgear and custom software for universities and research labs across the globe. Semrock was founded in 2000 based on a critical breakthrough in ion-beam sputtering technology that allowed the use of hard dielectric coatings on a single glass substrate. Since that time, more than half a million thin-film interference filters have been sold and we remain at the forefront of optical filter technology for biotech and analytical instrumentation applications. We offer the most spectrally sophisticated optical filters on the market to drive significant improvements for our customers and their applications, like faster measurement times, reduced downtime, repeatable manufacturing, and lower optical component count. Semrock supports the biotech and analytical instrumentation market with three product platforms – optical filters for fluorescence instrumentation & microscopy, Raman instrumentation filters, and laser analytical instrumentation filters. SiMPore is a Rochester, New York-based nanotechnology company that designs and produces membranes and membrane-enabled products based on its unique patent-pending platform technology - the NanoBarrier™ ultrathin nanoporous silicon membrane. The NanoBarrier™ membrane is the world's first membrane to offer both tunable nanometer-scale thickness and pore size. SiMPore is developing products that take advantage of these one-of-a-kind features, including filters for separating and concentrating biological molecules and nanoparticles, cell culture substrates for growing cells, and electron microscopy grids for preparing and imaging samples at the nanoscale. Solid Cell is a developer of stationary and portable solid-oxide fuel cell technologies for residential, commercial, industrial, and other critical off-grid applications. The Company’s headquarters are located in New York City, United States. Sydor Optics specializes in the fabrication of precision quality, flat-surfaced, parallel and wedged optics. We focus exclusively on the manufacture of flat optics- or "plano"- surfaced optics such as windows, glass wafers, wedges, mirrors, flat optics and colored glass filters. Synaptics is the pioneer and leader of the human interface revolution, bringing innovative and intuitive user experiences to intelligent devices. From usability and R&D to supply chain and support, we collaborate with our partners to invent, build and deliver human interface solutions that integrate seamlessly and optimize system value. The improved ease-of-use, functionality, and aesthetics of Synaptics-enabled products help make the digital lives of people more productive, secure and enjoyable. The Integrated Nanosystems Center consists of a 1,000 square-foot metrology (measurement) facility and a 2,000 square-foot cleanroom fabrication facility. The cleanroom lab was designed and equipped in a way that ensures it is virtually free of dust, foreign partials, and chemical vapors. VisualDx is developed by a team of physicians, educators, artists, and computer scientists dedicated to improving the health of people through better information at the point of care. Founded in 1999, we are guided by three principles. 1. We are committed to patients. 2. We believe that medical education and care are undergoing a transformation from memory-based to a memory-assisted paradigm, where excellent information retrieval is modeled during medical school and later put into practice. 3. We believe that visual representation of medical knowledge fulfills a need for physicians and their patients. Zomega Terahertz Corporation is focused on developing and deploying Terahertz-based technology solutions for both the public and private sector. We produce both pre-designed and custom systems for time-domain spectroscopy, inspection and non-destructive testing, and CW applications in both point measurement and imaging modalities, with true turnkey operation and integration into larger systems requiring THz capabilities. In addition, we collaborate with different research groups to push the frontiers of Terahertz science and commercialize new technologies.